Good morning and..... HAPPY THANKSGIVING WEEK! I hope you have wonderful plans for later this week that involve family, friends, and good food! Matthew and I are planning all that plus a 23 mile run- aren't we lucky?! You can check out more about our training plan in yesterday's post. The boot is off! Yay! On the advice of my orthopedic doctor, I took the boot off this week in the evenings and slowly made my way back to running. So far, so good. I have some soreness in my feet but nothing too unusual. I'm starting to think that I'm just getting old and these aches and pains in my feet aren't serious- just annoying. I have a follow-up appointment with the doctor tomorrow so we'll see what she has to say. 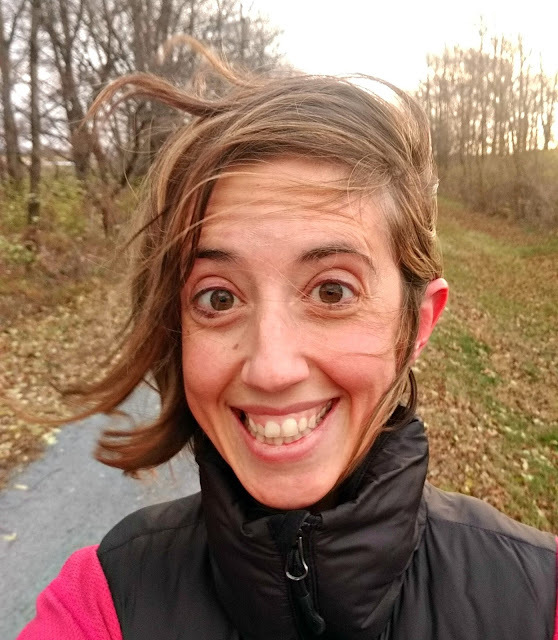 20 mph winds during our run yesterday. 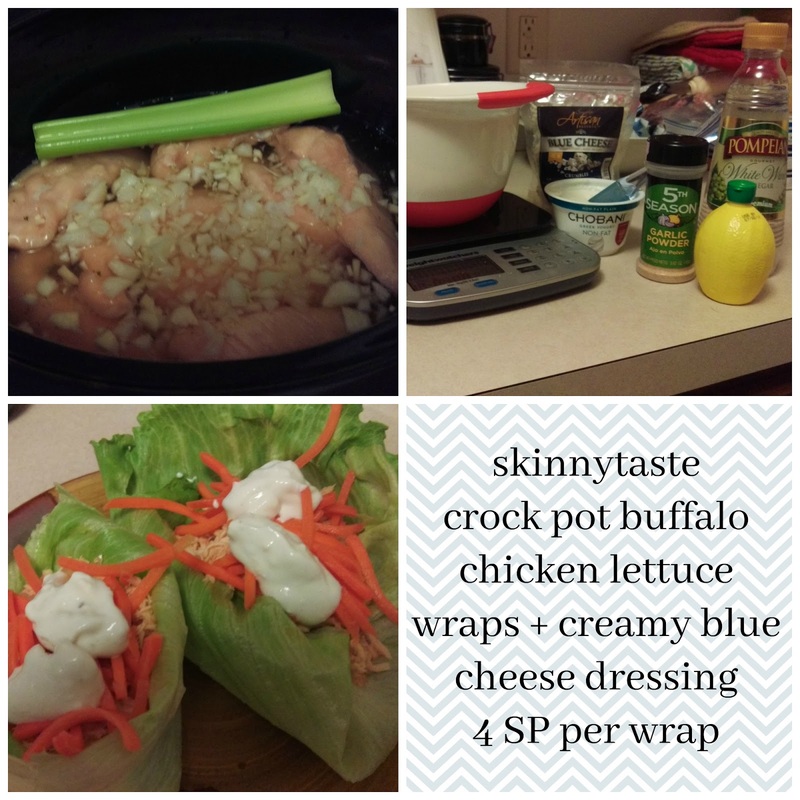 For the football games this weekend, I made skinnytaste's crock pot buffalo chicken lettuce wraps with skinnytaste creamy blue cheese dressing. Y'all need to make this one- it is so good! If you like buffalo wings, this is a tasty, low-fat substitute. The lettuce wrap and carrots provided a solid crunch and the dressing was heavenly! And for just 4 Smart Points per wrap, these are a guilt-free way to enjoy one of my favorite flavors. Have a great week, friends and an even better Thanksgiving! Check back on Thursday for my annual "what I'm thankful for" post! That wrap looks delicious, I'll have to give that a try :-) Thanks for sharing!